All downloads are available at http://www.copydynamic.com under sections Free code or Tasks (free code or tasks for 2012, 2014/2016 servers). 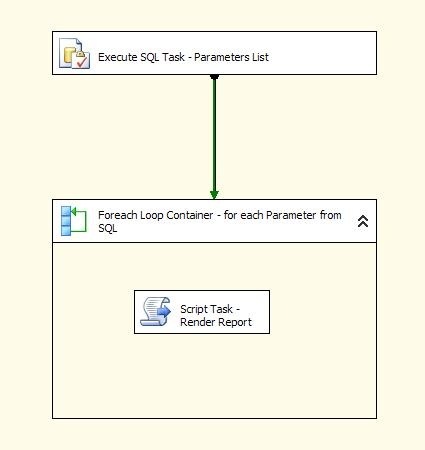 Package “Run and Export SSRS Reports from SSIS (SQL Server 2012)” with export to excel and pdf. (please change name of downloaded file from reportexport2012-zip.doc to reportexport2012.zip). Package “Run and Export SSRS Reports from SSIS (SQL Server 2014)” with export to excel and pdf. (please change name of downloaded file from reportexport2014-zip.doc to reportexport2014.zip). Package “Run and Export SSRS Reports from SSIS (SQL Server 2008)” with export to excel and pdf. Why export data data in excel? Because User wants it in excel. Sometimes I asked myself is there any reason for my work except “satisfying” Users want for excel sheets. From “A1” to final destination ∞. Also, all these sheets should be formatted on right way. Data Flow to Excel Destination will take the format of last used row for every new row. So, data in W3 cell will be italic with percentage format. Few days before I finished SSIS package which produces lot of Excel sheets for regular use in company where I work. I am not so sure how much is useful to have sheet with 20 or 30 thousands rows (yes, that’s for regular work), but I made a tool and Server takes care about populating Excels. Script task needs Credentials for HttpWebRequest class. I’m using default, but it can be changed in SSIS configuration file. Example package can be downloaded here ReportExport.zip – delete .doc extension (SSIS and SSRS project with sample report).